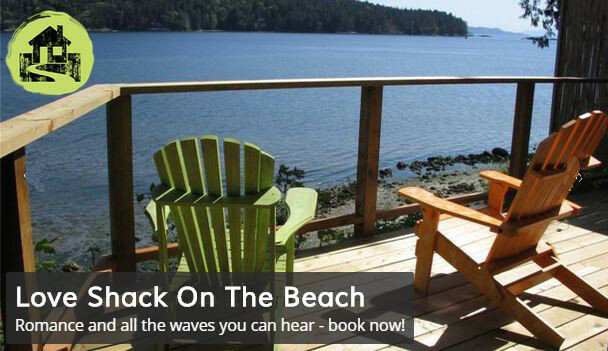 Cedar Beach Resort is located on beautiful St. Mary Lake on Salt Spring Island, British Columbia. At our 5 acre resort, we have 17 cabins as well as 23 fully serviced RV and camping sites. We have our own private, sandy beach right on the lake that offers fabulous lake views. The adjoining Beach House offers indoor and outdoor recreation space for our guests’ enjoyment and is also suited for large group gatherings. An outdoor barbecue, bonfire and lakefront picnic tables are very popular features. The Resort offers an exceptional venue for family reunions, friends gatherings, and small group weddings. All of our cabins and suites are fully furnished, with cooking facilities. Some units offer such up to date amenities as televisions with cable or DVD players and propane barbecues. Others retain the feel of a rustic cabin in the forest without all the urban elements. We have men’s and ladies’ washrooms in the RV / campground area with complimentary hot showers. A fully equipped handicap washroom adjoins the main washroom. All of our sites have water, sewer, and power (15 and 30 amp service). As a family oriented resort, you can enjoy the frivolity during the day and the peacefulness of the night. We are OPEN year round……………. come and enjoy the Island during the off seasons.